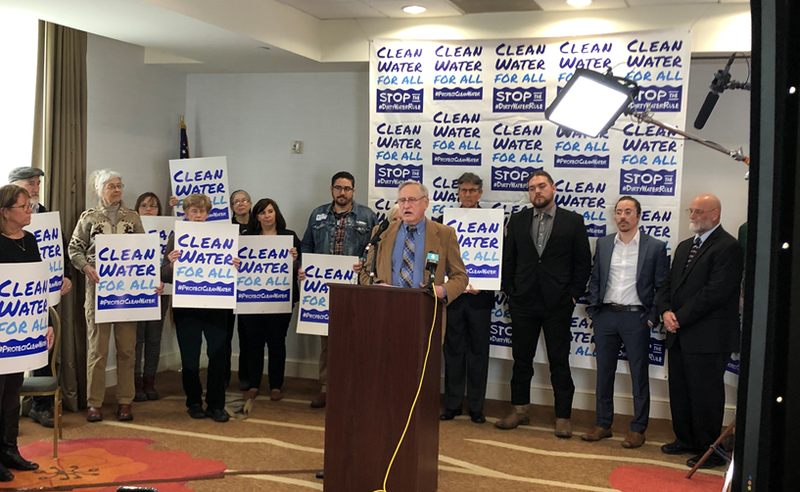 (Kansas City, Kansas)– Today, stakeholders held a press conference to call on the Environmental Protection Agency (EPA) to protect clean water and abandon its proposed Dirty Water Rule, the latest in the agency’s relentless efforts to rollback critical protections and make it easier for industry to endanger our kids and communities without any accountability. Quotes from speakers and individual videos can be found below. “The rule fails to align with the original intent of the Clean Water Act to ‘to restore and maintain the chemical, physical, and biological integrity of the Nation’s waters.’ Further, the rule is inconsistent with more than a half century of scientific research that demonstrates that the integrity of “traditionally navigable” waters fundamentally depends on ephemeral, intermittent, and perennial headwater streams, as well as the many associated lakes, wetlands, and off-channel habitats”. “A strong Clean Water Act IS pro business. It is good for the economy and good for jobs. While removing protections for seasonal streams and wetlands may benefit a handful of businesses, it will significantly damage many, many others including ours”.